It is not enough to just shampoo if you want long, dense, silky hair. We can improve hair growth, texture, shine and overall health by what we eat. Because of this, the hair gets strengthened from inside. There are some “superfoods” that can promote hair growth and solve the problem of hair loss. 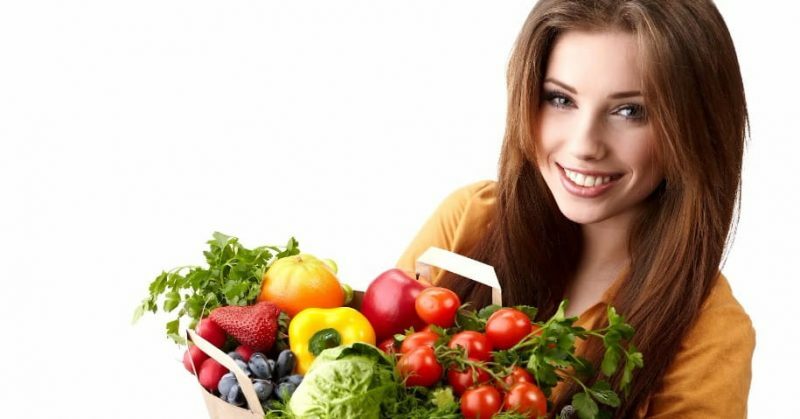 Be sure to include these top 10 beauty foods in your daily diet for healthy hair. As perhaps the most versatile food on this list, there are countless ways you can work eggs into your healthy-hair diet. Eggs contain abundant proteins. It gives the right nutrition to the hair. Try to eat one egg daily or every other day. You can eat scrambled eggs, fried eggs or boiled eggs depending upon your preference. Bold fruit equals better hair! Who doesn’t love berries? Apart from the amazing taste, blueberries strawberries and cranberries are also beneficial for hair health. They improve the volume of the hair and make them dense. This chemical in the fruits increases the blood circulation in the scalp and thus helps in making our hair thick and shiny. Carrots are filled with nutrients and vitamins like Vitamin A, K, C, B6, B1, B3, B2, fibre, potassium, phosphorous etc which are good for health, skin and hair. It makes hair lustrous and gives them silky-smooth texture. This makes the scalp healthy. Carrots also protect hair from external damages like pollution, weather etc. Green tea is that superfood that has more than one benefits. It is filled with vitamin C, D and antioxidants. It strengthens the hair, decreasing the hair fall. These vegetables also provide iron and calcium to your body. If you consume green tea twice daily, you will see visible results in a few weeks’ time. If you aren’t going to eat veggies for your health, at least do it for your hair. Green vegetables are beneficial for body and skin as well as healthy hair. So, please include broccoli, spinach and fenugreek (leaves) in your food. If you’re vegetarian or vegan and can’t have dairy or meats, then load your plate with lentils that contain high levels of iron-rich protein. The whole grains like wheat and soybean are good sources of grain iron, vitamin B and zinc. They will definitely make your hair healthy. These are not only easy to strengthen hair, but also makes the hair shine. Aside from the vitamins D and B-5 that dairy delivers, all that calcium plays a major role in hair growth. Low-fat dairy products like cheese, yoghurt prevents the scalp from drying. Vitamins rich in fatty fish are not only good but also beneficial for hair. Salmon is a kind of fatty fish that is good for your brain, blood vessels, skin and hair. There is definitely a reason we listed salmon at the top of the list of healthy hair foods. The high amount of protein, iron and vitamin D in salmon improves hair strength and prevents breakage. Vitamin B is essential for hair growth. Avocados are rich in vitamin B and E which makes the scalp healthy and stimulates the hair to grow faster. Avocados are also high in monounsaturated fats that help to moisturize the scalp and hair follicles and keeps the hair naturally conditioned and shiny.